Thanks to Amy for writing in with a request for this topic! We all know that the warm up and cool down are critical parts of the Zumba workout (any workout, really!). I'm sure we also all have students who strategically sneak in after the warm up is completed or leave a few minutes early pre-cool down. I hope the information here gives you a few extra tools for your instructor toolkit so you can convince your students of the value of the warm up and cool down! According to the Mayo Clinic, "a warm up gradually revs up your cardiovascular system, increases blood flow to your muscles, and raises your body temperature." 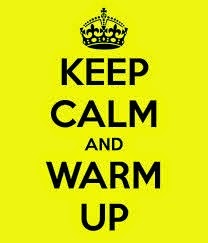 Warming up reduces your risk of injury and can help reduce post-workout soreness. A warm up should be dynamic and gentle, meaning you're moving all of your major muscle groups without fatiguing yourself and without engaging in deep stretches ("cold" muscles aren't ready for a deep stretch!). In Zumba, we typically warm up for 5-10 minutes for a 60-minute class. I usually have one official warm up song and then use a Zumba song that is a bit slower with light choreo as a second warm up song (so folks don't feel like we spend too much time warming up). The Mayo Clinic says cooling down "allows for a gradual recovery of heart rate and blood pressure... and helps regulate blood flow." The American Heart Association warns, "Stopping [exercise] suddenly can cause light-headedness because your heart rate and blood pressure drop rapidly." What should a cool down include? A cool down should start with slow movement and gradually incorporate stretching. Stretching can decrease muscle pain and stiffness, and it sets you up to have a good workout the next time you exercise. What should you do if students skip the warm up or the cool down? If you have students who arrive late and leave early, my advice is to add a few words about warming up and cooling down to your pre-class schtick. Not to call anybody out individually, of course, but a gentle reminder about how warming up is critical to safety when working out might change how people think about it. You can also say a few words before the cool down starts, like "Great class so far everyone. Let's take the next few minutes to take care of ourselves and make sure we recover properly from the great workout we just had." How do you ensure your students get a good warm up and cool down? all I never cool down UNLESS Im in a class. Love your ideas! I always worry about my students when they don't warm up or cool down. 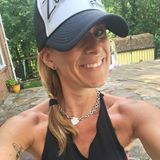 Great article bringing awareness as to why the warm ups and cool downs are so important to the ZUMBA® workout. In my class I have 3 warm ups. Exciting songs to get them in the party mood. My first is a simple upbeat step touch, my second is something a little faster to get the heart rate up a little bit with arms moving and raised and my third is a toning song with squats, leg lifts, core exercises to music. We are ready to go at the fourth song. Someone actually said to me once that she wishes I would skip over the toning part because she gets that in her other classes that she attends. I kindly explained to her that the warm ups are a very important part of the workout because they are getting our muscles ready for all of the dancing and fitness moves. I also do a pre-cool down to get the heart rate to gradually come down and to regulate the blood flow. My final song is a little bit of swaying to the music with static stretching. Thank you so much for this article!